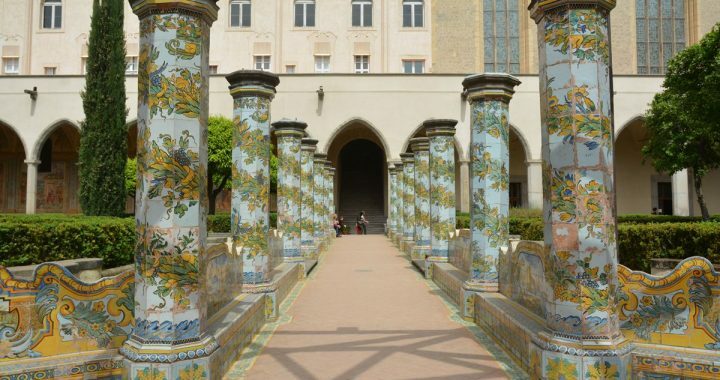 One of the great sights in Naples is the cloister of the nuns of Santa Chiara. There are thousands of colourful tiles decorating the benches and pillars, with plants and flowers and scenes of daily life from the 18th century, Neapolitan scenes such as fishing, life by the sea, peasants in the countryside enjoying music and dancing, hunting scenes, and so on. Even one panel that shows Vesuvius erupting.